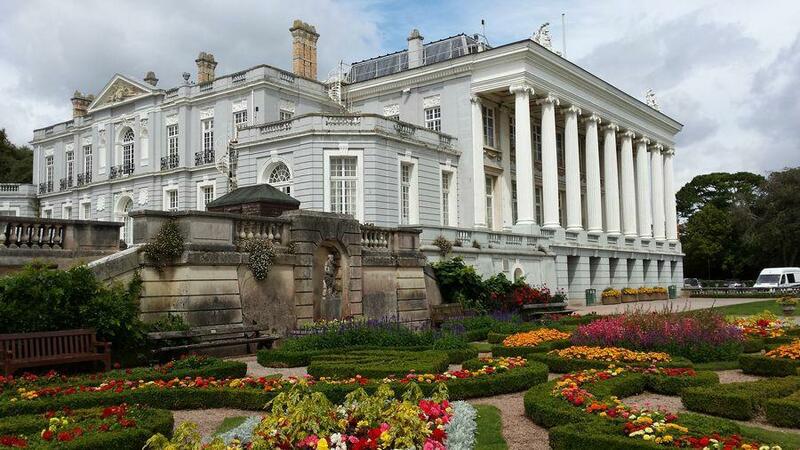 Oldway Mansion is a large house and gardens in Paignton, Devon, England. Paris Eugene Singer, Isaac Singer’s third son, supervised the alterations at Oldway Mansion between 1904 and 1907. The rebuilding work was modelled on the Palace of Versailles, and the eastern elevation of the building was inspired by the Place de la Concorde in Paris. The interior of the building is noted for its grand staircase made from marble and balusters of bronze. The ceiling of the staircase is decorated with an ornate painting based on an original design for the Palace of Versailles by the French painter and architect Joseph Lebrun. The ceiling is a replica painted by Carl Rossner. Above the grand staircase there is a reproduction of the first version of Jacques-Louis David’s painting The Crowning of Josephine by Napoleon. The original was purchased by Paris Singer in the late 19th century. The painting was sold to the French government in 1946 and now hangs in the Palace of Versailles. The reproduction at the mansion, which is in the same place as the original, is a colour photocopy and was unveiled in 1995. The gallery on the first floor is a reproduction of the Hall of Mirrors in Versailles, and is floored in parquet. The gallery leads into the ballroom, which contains walls of gilt panelling and mirrors. Above the fireplace there is an oil painting of Louis of Bourbon dating from 1717. 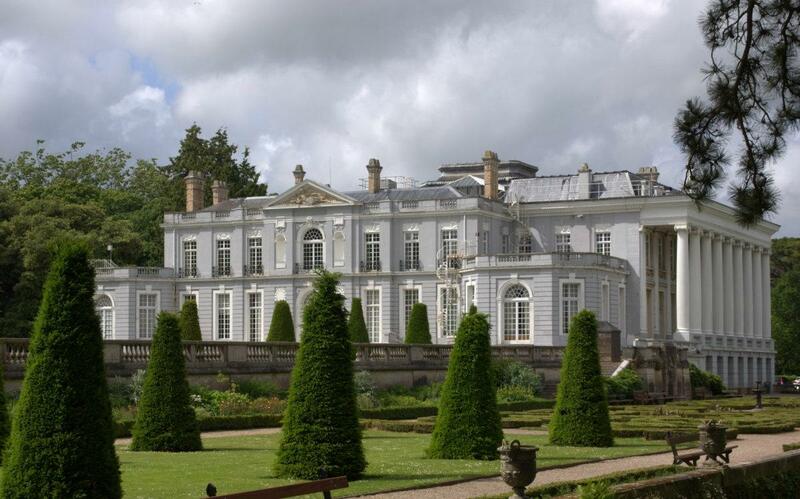 Oldway Mansion is set in 17 acres (69,000 m2) of gardens, which are laid out on an Italian theme by the French landscape gardener Achille Duchesne. 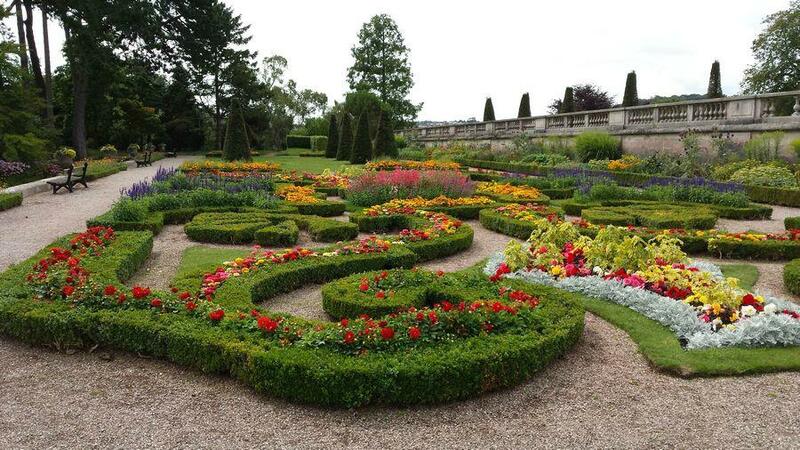 Beneath the eastern elevation of the building is the maze, which consists of dwarf box hedging and flower beds. To the south of the mansion there is the grotto garden where a waterfall passes over a rocky cave into a pool below. 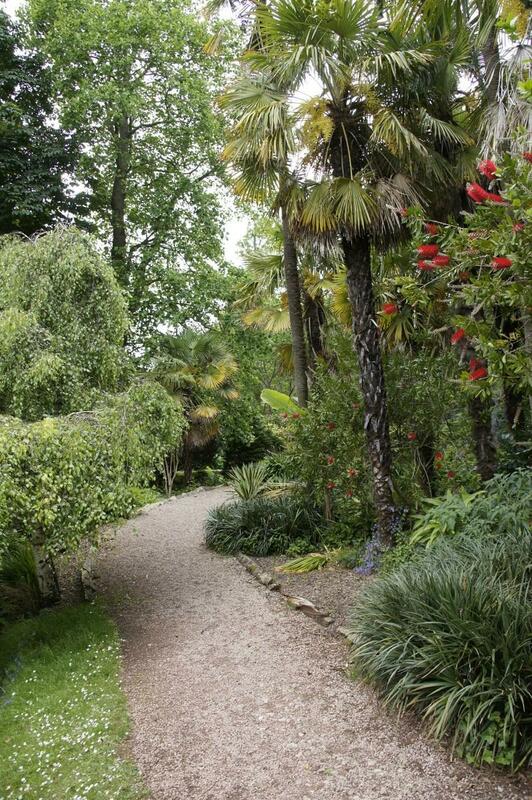 The grounds of the mansion contain many sub-tropical plants and shrubs. 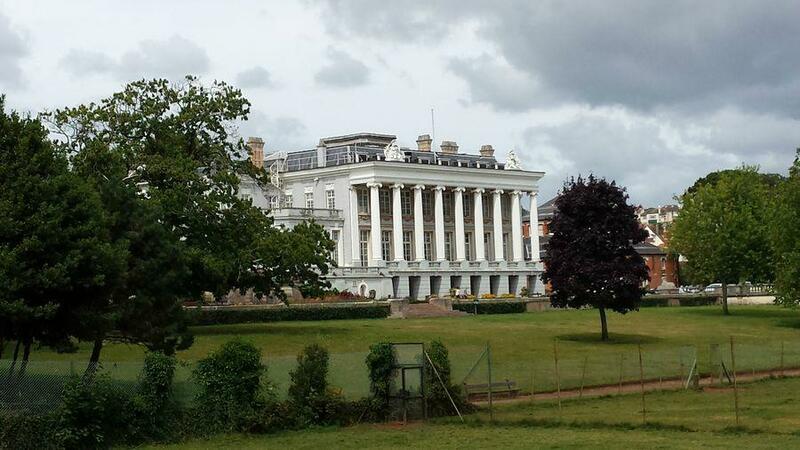 Opposite the main entrance to the mansion is a large round building known as The Rotunda. 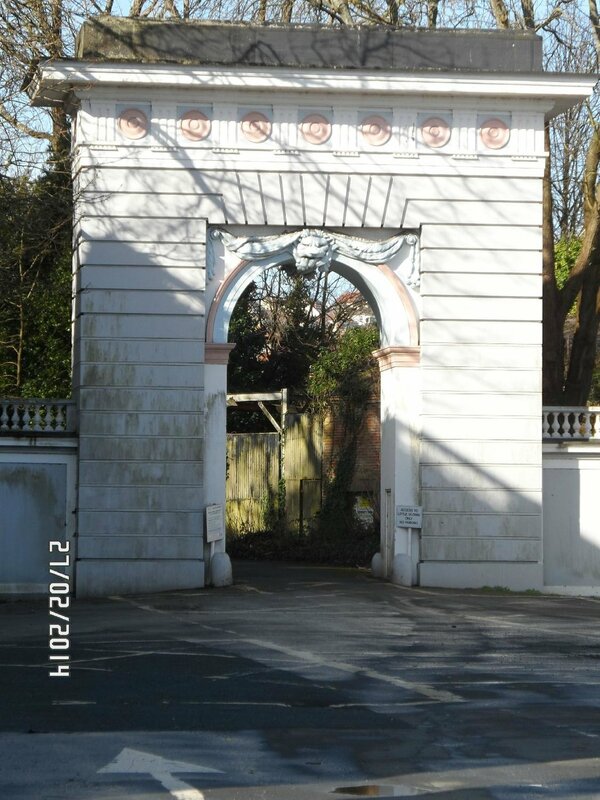 This was built in 1873, and was used originally as a horse riding pavilion and exercise area. Isaac Merritt Singer gave this building the nickname of “The Wigwam”.